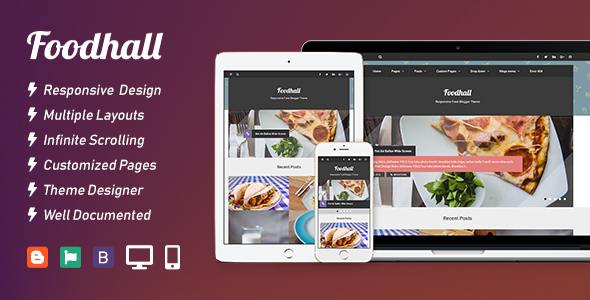 Description: Foodhall Responsive Food Blogger Templates is a responsive Blogger theme highlighting a good design for food blogging that brings many awesome features to show up your creativity in this field. Foodhall also could be used for any other purpose than food. Use it as your showcase portfolio, personal blog or even as a photography gallery.